Manor House Marine and Cottages nestles in the heart of Lower Lough Erne, one of the most spectacular lakes within the island of Ireland. From here a holiday paradise is unleashed. On the shores of Lower Lough Erne next to the marina and 100 yards from the hotel are our self-catering cottages perfect for those seeking self catering accommodation in Ireland. Explore some of the finest castles, gardens and heritage sites in Ireland at your own pace on one of our exclusively designed luxury Self-Drive Cruisers. 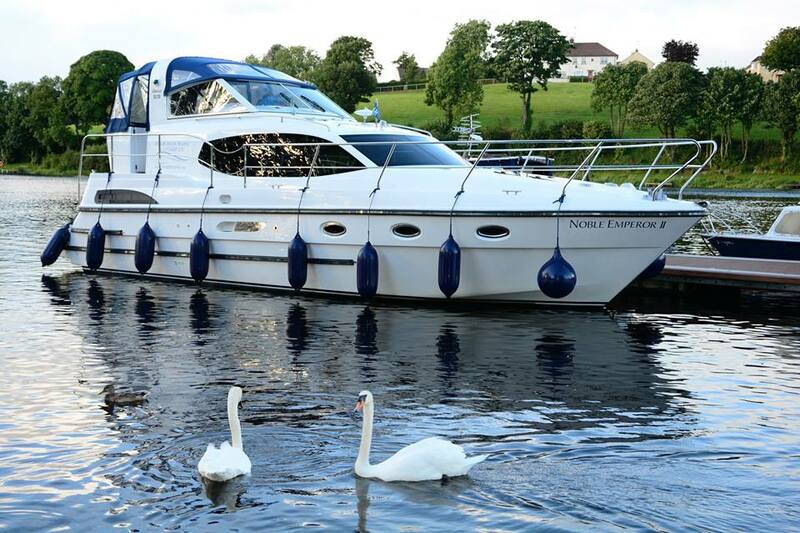 Discover the breath-taking scenery and experience Irish hospitality first hand in the water ways of Lough Erne and the River Shannon. For those that prefer to stay on the shore we have lakeside Self-Catering Cottages. For the day visitor we have Day Boats for hire, a Golf Course, Pitch & Putt and Tennis. Boat owners can avail of our private 150-Berth Marina with full marine services. Our team of highly trained and experienced engineers can help with all your service needs. Available on hire for 5 or more nights from 1st March up to the 4th May on a Noble Chancellor, Noble Chief or Noble Captain. Discounts are automatically added at the time of booking. Consists of static caravans and is situated next to Manor House Marine and Manor House Hotel in Killadeas. A family run business of more than 40 years! For those looking to purchase or sell a boat look no further than our Boats Sales section. We have Luxury Lodges for the more frequent visitor and Manor House Holiday Park offers the ultimate holiday experience with its Static Caravan Site. We look forward to welcoming you to Killadeas. Manor House Marine and Cottages specialise in selling motor cruisers and offer brokerage, chandlery and yard services.